Sign up to be eligible for exclusive discount from € 384.30 to € 239.00. 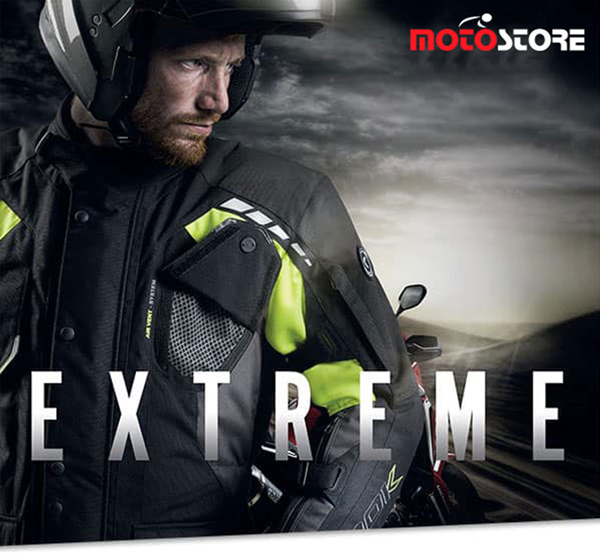 Extreme, the multi-functional full-time touring jacket from Smook. Designed for tour riders who make their two wheels their passion and their journey to adventure their mission. Go and live your extreme passion with Extreme.